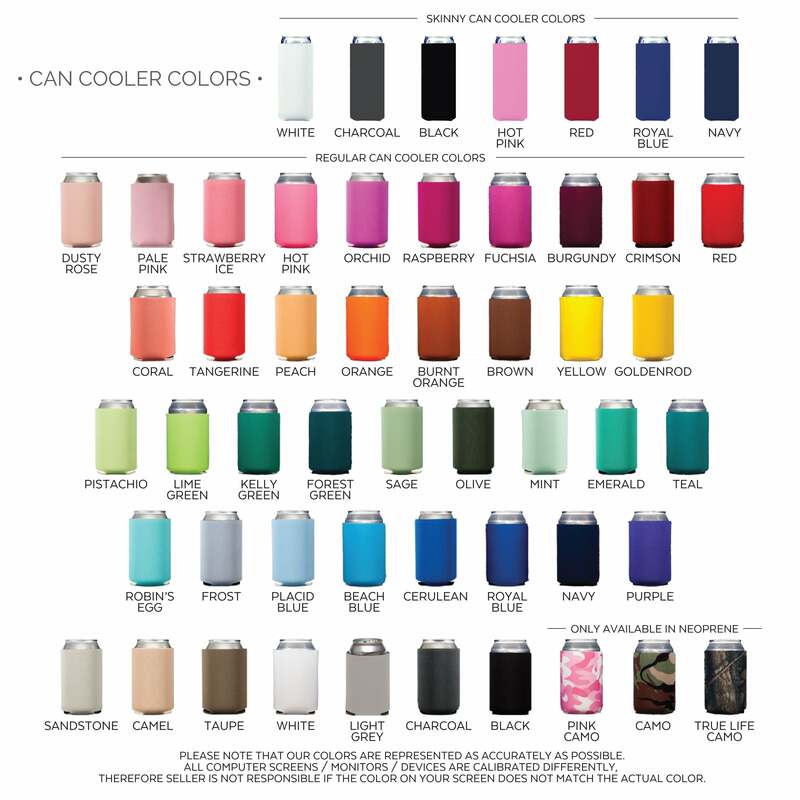 Custom Birthday Party Can Cooler Favors are the ultimate birthday party favor! These are great to commemorate milestone birthdays and pass out at backyard BBQ parties, pool parties or even (especially) for a weekend birthday trip to Vegas! Chose from our various font styles and birthday designs to find the most fitting motif for the occasion! Cheers and bottoms up to another trip around the sun!